Empathic folks have it tough. I know, I’m one of them. I know some empaths (also known as clairsentients) who have trouble living a “normal” life because of the intense feelings they pick up from others. Friend, that stinks, and we need to fix it. When you’re an empath, work is hard, going to large events is almost impossible and going to a birthday party for someone you love can make you feel like sleeping for a week. It’s like you want to stick ear plugs in your ears, climb on a raft with your journal, and paddle out to a deserted island where there are no people, no news, and no drama. These overwhelming feelings can be especially rough for those clairsentients who haven’t yet learned how to “shut down” their gift when they need some peace. Through the years, I’ve developed my own personal empathic guide – skills that help me survive in the real world because I don’t think the raft and Bradley Cooper thing are gonna happen. There’s nothing I’d like more than to share my tips with you. 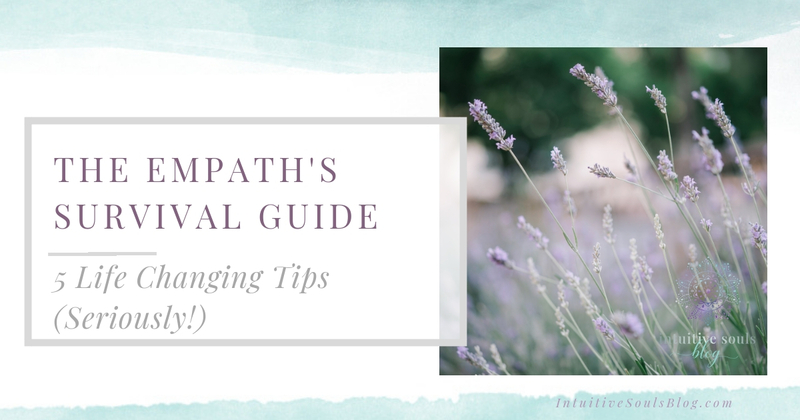 :) Try out the different tips or combine a couple them to create your own empath blend! Being aware of my perspective is my number one empathic survival skill. You aren’t here to save everyone from their pain. A simple concept? Yes! Easy to implement? Yes, with a little practice. Next time you start going down that emotional rabbit hole – you know, when you start picking up someone’s emotions and know you’re about to cry through a box of Kleenex – remind yourself that the person you are picking up emotions from is a spiritual being who is here to learn and grow. Whatever is causing their sadness, anger, fear, pain, or whatever, is happening for a reason. Maybe there’s a lesson they wanted to learn in this lifetime. Maybe this situation is part of their soul contract. Maybe something super wonderful is just around the corner for them, but they have to go through this pain to get to the other side of it. Did you ever see the movie The Pursuit of Happyness? One Saturday afternoon, a box of Kleenex and I watched this amazing Will Smith movie based on the real life of Chris Gardner. But Chris didn’t give up. His hardship motivated him and he ended up becoming a Wall Street legend. The point is we just never know. It’s not for US to know because each soul is on its own path. So next time you feel like swooping in and rescuing someone, remember Chris Gardner and remember this empathic tip. It’s not that you aren’t being caring. And I’m not saying not to help someone… Volunteering, bringing chicken noodle soup to a friend – these are all wonderful, heart-centered things to do. What I’m saying is before you let someone else’s pain envelop you and bring you down – breathe, and remember they are going through this situation for a reason. Then trust that there is a Divine plan. As clairsentients, we can’t avoid being around emotionally draining people. If only, right! You may work with one (or twelve) “energy vampires” or have one as a family member. When you know you are going to have to interact with someone who drains you, prepare yourself beforehand by surrounding yourself with white light. The negative emotions of others can’t penetrate your invisible shield. You can do this on the fly too. If you are at a party and are cornered by a negative person who is making you feel lousy, silently surround yourself and your personal space with a white, opaque light. It will protect you from energy-drain. You can do this anywhere, anytime, so you never have to go unprotected. In fact, you may want to just get in the habit of doing it every morning. Another thing you can do is imagine surrounding pink light around those who need it. You don’t have to become embroiled in their misery to help! Mentally surround them with pink light to heal their pain, whether it’s physical or emotional. I like to do this when I’m driving and come across a motor accident. I also do this whenever a friend or family member is suffering. I imagine sending them oodles of lovey, yummy vibes, and surrounding them in a field of soft pink light. This allows me to help without causing me to feel irritable and exhausted all day. Now, you might think this is a strange thing to bring up in an empathic post, but bare with me. My lovely grandmother is constantly having her appliances break down. It’s almost comical, because you know when you talk to her you are going to hear about the fridge or microwave blowing up. She could probably be in the Guinness Book of World Records for most broken appliances on earth. She recently had an incident where her kitchen flooded. What a disaster! There was water everywhere and it reminded me and my mom of the This House Has Sure Gone Crazy! episode from The Three Stooges. She has a belief, which is totally unconscious, that when she gets one thing fixed, something else is going to break. And the universe delivers. Every. Single. Time. Why am I telling you this? Because the law of attraction is a real thing, and we each attract stuff that we might not be aware of. Have you ever known someone, for example, who always ends up with the same type of manipulative or controlling significant other? And when they break up, you want to help them even though this is the millionth time it’s happened? This pattern is repeating itself for a reason. It’s important that they recognize it for themselves so they can move beyond it to find happiness. Maybe it’s a part of their soul contract, who knows. The point is, just because you may be able to help, doesn’t mean that you CAN. We are all conscious creators who have the ability to attract stuff into our experience. Sometimes, people have to work things out for themselves so they can grow spiritually. We all know at least one person who just loves to complain no matter what kind of crazy good stuff is happening all around them. You know Debbie Downer from Saturday Night Live? Um hum. You don’t need an empathic guide to tell you that being around them is exhausting and it takes a while to recover from that interaction. When you are this drained, it means that you can’t be at your most awesome to help others who genuinely need your help. 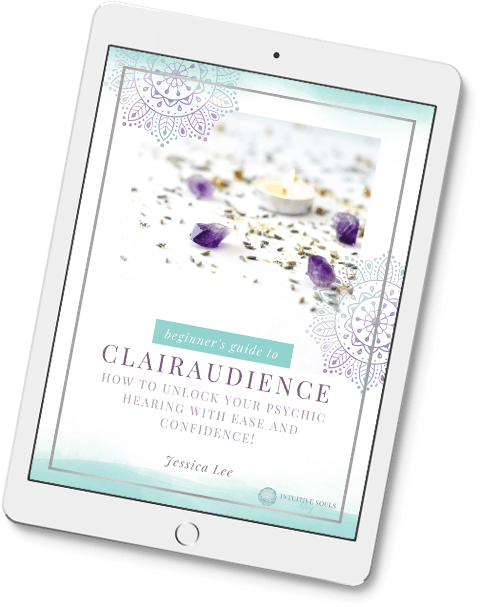 You can’t give your clients their best readings and you have nothing left for your spouse, children or yourself. As much as possible, stay clear of these people (you know who they are) and start surrounding yourself with positive, like-minded people. Remember that like attracts like. As a clairsentient, it’s uberly-important to keep your vibration up by doing things that fill YOU up and make you happy. For me, I’m hot and heavy into the adult coloring craze! Let the dishes sit in the sink and spend some time doing something that makes YOU happy. The media loves to play up all the horrible stuff going on in the world. That must sell newspapers, magazines and cable subscriptions, but it’s not a good idea for empaths to watch the news, read newspapers or play violent video games. Heck, you may even need to limit the amount of time you are on social media. Personally, social media drains me super fast. Keeping up with current events is important. I get that. But for me, it’s just not worth the crappy way I feel when I consume a constant stream of war, famine, political rhetoric or violence. My grandma (yes, the one with the broken appliances) gets mad at me. I tell her that I’m not worried. If there is a storm coming or something, I’m sure someone will let me know. I only watch, read and listen to uplifting or funny TV, movies, books and podcasts. I hide or unfriend anyone on my social media channels who likes to use to whine about their lot in life. This may sound mean, but I’ve learned I have to do this for my own sanity. As an empathic person, it’s important that YOU feel good! You matter! I know some of the tips in this empathic post may seem heartless, at best. But you aren’t doing yourself or the world any good by overwhelming yourself to the point where you are depressed and in a constant state of fear and worry. You can give and give and give until you have nothing left, which means your life is totally given away. You didn’t incarnate on this earth to be a slave to your psychic gifts.